Documents leaked by whistle-blower and former US National Security Agency (NSA) contractor Edward Snowden show that the NSA’s Canadian partner, the Communications Security Establishment Canada (CSEC), routinely spied on Brazil’s Ministry of Mines and Energy. First brought to public attention on a Brazilian television program that aired Sunday evening, the exposure of CSEC’s spying on Brazil, a purported Canadian ally, has provoked a diplomatic storm. Brazil’s Foreign Affairs Minister, Luiz Alberto Figueiredo Machado, summoned Canada’s ambassador Monday and demanded an explanation, saying CSEC’s actions constituted a “serious and unacceptable violation” of Brazilian sovereignty. Canadian Prime Minister Stephen Harper, speaking from Bali, Indonesia, where he is attending the APEC (Asian-Pacific Economic Forum) summit, claimed that his Conservative government is now “reaching out” to Brazil’s government. Canadian mining companies have huge investments in Brazil. The two countries are important commercial rivals in mining and aircraft manufacture and are competing for foreign investment in their oil and natural gas sectors. According to the report that aired Sunday on OGlobo Television’s “Fantastico” investigative journalism program, CSEC used the Olympia metadata mining program to track the communications of Brazil’s Ministry of Mines and Energy. The report did not say whether communications deemed of special interest were read or listened to. But CSEC, NSA and the other three members of the “Five Eyes” signal intelligence partnership (Britain, Australia, and New Zealand) bluntly state that there are no legal-constitutional restrictions on their “right” to spy on communications in foreign countries—be they the communications of foreign governments, left and dissident groups, or private citizens. Glenn Greenwald, the journalist who has worked with Snowden in exposing the NSA’s global spying operations, including its systematic violation of American’s constitutional rights, assisted in preparing and appeared on the “Fantastico” program that unmasked CSEC’s spying against Brazil. In an interview with the Canadian Broadcasting Corporation that aired on Monday evening, Greenwald indicated that the operation targeting Brazil’s Ministry of Mines and Energy was part of a much larger global CSEC campaign of commercial espionage. Even more significantly, he said that there would be further exposures of CSEC spying, including on “ordinary citizens,” and predicted that “most Canadians” will be surprised if not shocked by the scope of CSEC’s activities. Serious as this is, the principal concern of the government and Canada’s elite is to block Canadians from learning about the major role CSEC plays in the pursuit of Canadian big business’ predatory interests at home and abroad. The government wants Canadians to believe that CSEC is devoted to combating “foreign threats” such as al-Qaeda-type terrorist plots. In reality, CSEC partners with the NSA in spying on the world’s electronic communications, including those of governments, Canadian big business’ commercial competitors, leftwing movements in the four corners of the globe, and, last but not least, the Canadian people. In June, the Globe and Mail revealed that since 2005 CSEC has been systematically mining the metadata of Canadians’ electronic communications—phone calls, e-mails, text messages, internet visits, etc.—and collecting, thereby, information that can be used to develop comprehensive profiles of the habits and social networks of targeted individuals and groups. This is a patent lie and the fact that the government and CSEC invoke it so readily is itself in an indication that there is much they want to hide. One of CSEC’s core functions is to assist the Canadian Security Intelligence Service, the Royal Canadian Mounted Police, Canada Border Services and other police forces in carrying out “national security” investigations. It is also known that the NSA, as part of its partnership with CSEC, routinely shares intelligence on Canadians with Canada’s national security apparatus. CSEC and the government—and this is confirmed according to the Globe and Mail by a 2011 ministerial directive that renewed CSEC’s right to mine the metadata of Canadians’ electronic communications—have developed a spurious definition of metadata so as to provide a quasi-legal pretext for their arrogation of the power to mine Canadians’ metadata. According to the government and CSEC, metadata is merely the “container” or “envelope” in which a communication is conveyed and therefore is not constitutionally protected from blanket state surveillance. 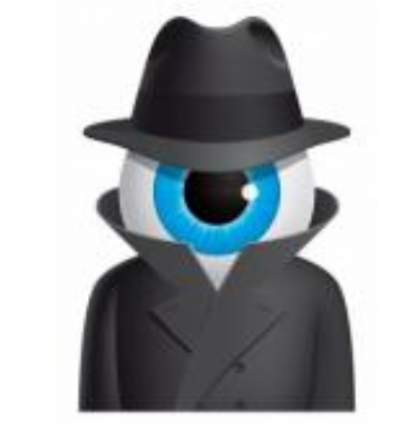 CSEC’s spying takes place completely behind the backs of Canadians. Prior to Snowden’s revelations most Canadians had never even heard of this agency, which has a staff of more than 2,000 and an annual budget in the hundreds of millions of dollars. CSEC operations are shrouded in almost total secrecy, authorized under ministerial directives that are themselves so secret that their subject matter, let alone their contents, is secret. The government is determined to continue to keep Canadians entirely in the dark as to CSEC’s spying on Canadians and the reactionary covert operations it is involved with as part of its alliance with the NSA. The opposition parties, including the trade union-based NDP, are complicit in this cover up. The NDP responded to the Globe ’s June report that CSEC was spying on Canadians’ meta-data mining by calling for increased “transparency” as to CSEC’s activities, then dropped the matter entirely within a day or two.